Swiss watch makers are feeling the effects as more people choose to strap smartwatches to their wrists. Last quarter, smartwatch shipments overtook Swiss watches for the first time, according to new research from Strategy Analytics. 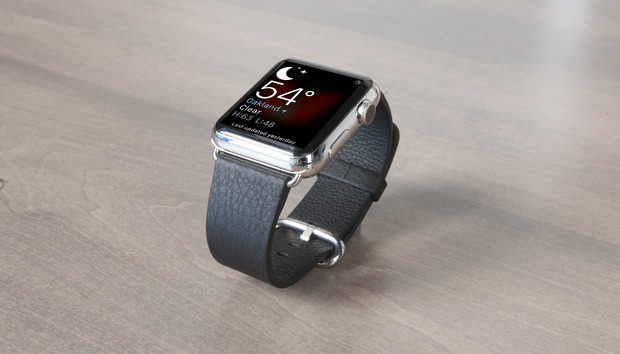 Smartwatches saw a 315.6 percent shipment increase from Q4 2014, reaching 8.1 million units. Meanwhile, Swiss watch shipments fell to 7.9 million units, a 4.8 percent year-over-year decrease. Although Strategy Analytics didn’t break down its shipment estimates, previous reports from IDC and Juniper Research have credited most of the recent growth to the Apple Watch, which reportedly claimed more than half of all smartwatch shipments last year. The rest of the market was carved up between Android Wear watches (with 15 percent of the market, per IDC), Pebble watches (with 8.6 percent), Samsung’s Tizen-based Gear watches (with 8.2 percent), and a mish-mash of smaller players. Meanwhile, the decline of Swiss watches has been well-documented. Every month has brought more bad news, and while no segment of the market has been spared, watches in the $200 to $500 range—think Swatch—have been hit the hardest. Swiss watch makers are starting to respond to the smartwatch threat with their own tech-infused timepieces, but the results have sometimes bordered on comedic. Swatch, for instance, spent months hyping a smartwatch that’s not really all that smart, while TAG Heuer’s first Android Wear watch serves largely as a gateway drug to a mechanical timepiece, with discounts for users who want to trade up. Strategy Analytics says these efforts only claimed 1 percent of the smartwatch market last quarter. Why this matters: Traditional watches aren’t likely to go away, as there will always be some appeal in a timepiece that’s simpler, more dependable, and not at risk of obsolescence. It’s also unclear if high-end smartwatches like the $10,000-and-up Apple Watch Edition can truly compete with the luxury Swiss watch business. Still, the explosion in smartwatch shipments shows how much opportunity exists to reach people who don’t care for mechanical watches, and should serve as a wakeup call to the big Swiss brands.